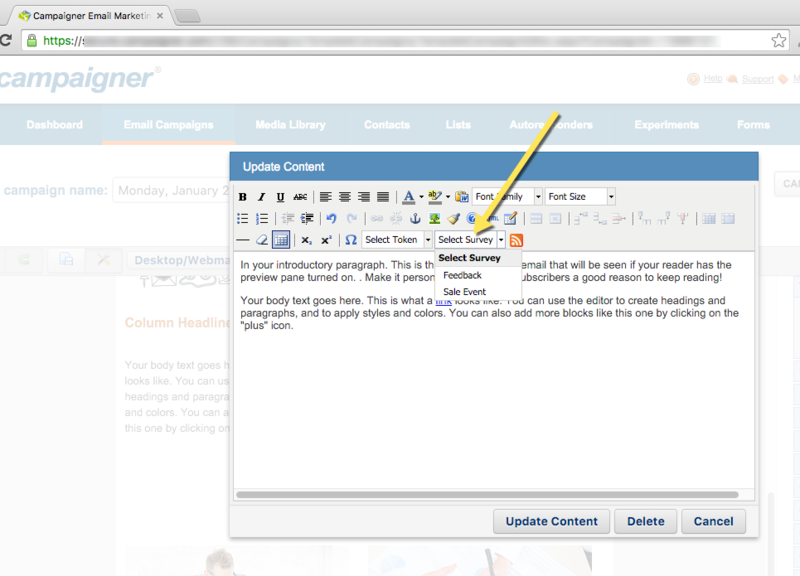 Inside of Campaigner there is a Smart Editor that will automatically pull in your active surveys and allow you to quickly and easily add a survey to an email campaign. The process is fun and easy. 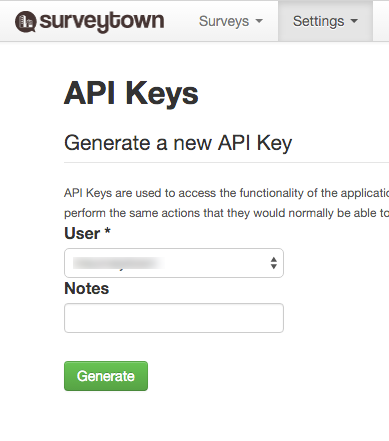 It requires a SurveyTown account that has API access. Here is how to set it up. Under the "Email Campaigns" click on "+New Email Campaign". There is a dropdown there with the words "Select Survey". 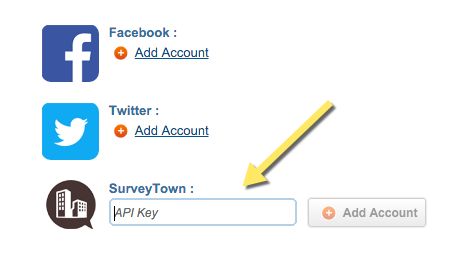 Click that drop down and down will appear a list of active surveys from inside SurveyTown. Selecting one will drop a link to the survey inside your email campaign. That's it - Happy Surveying!